Agile, economical and fun to drive, the Ford Focus is a charming choice. You can pick from a variety of trim levels, including the affordable S sedan, the top-of-the-line Titanium, and the sport-tuned ST and RS hatchbacks. Ford’s hot hatch is the no-brainer car for your everyday enthusiast who does not want to sacrifice practicality for the chance to have fun. The Focus ST is a car that’s built for drivers. Available with a 6-speed manual transmission and a suspension tuned for experts, you’ll be able to tail slide into corners. It has a 252 horsepower engine that will make the highway on-ramp bring a smile to your face. 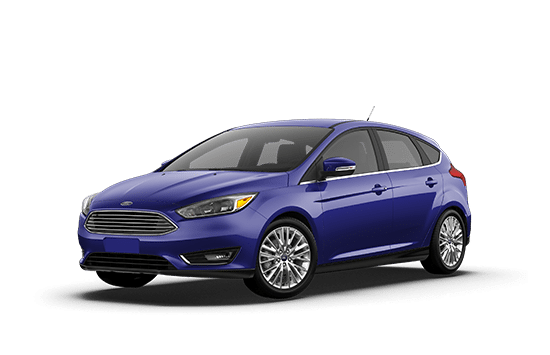 Looking for a used Ford Focus in Saskatchewan? Come to Merlin Ford Lincoln and check out our impressive selection of pre-owned models. You’ll experience our world class treatment while you find your perfect car. You can find us at 3750 Idylwyld Drive N. in Saskatoon, SK, or call us at 306-931-6611. Every eligible Ford pre-owned vehicle must pass a rigorous inspection completed by factory trained technicians. The inspection covers the powertrain, chassis, amenities, and the overall condition of the vehicle before it can be officially certified. Every Ford Certified Pre-Owned vehicle comes with a 12-month/20,000 km Comprehensive Limited Warranty covering more than 1,000 components, including engine, transmission, and more. Experience Titanium strength. This top trim level Focus comes with features normally found in the most luxurious automobiles. The cabin of the Focus Titanium features leather seats, an eight-way power-adjustable driver's seat, heated front seats, leather trim on the shift knob and heated steering wheel, one-touch up/down power windows, and a rear-seat centre armrest. Don’t just drive, make sure you have fun while doing it, and turn heads wherever you go. The Ford Focus ST was designed to perform. Being part of the performance family means this is no ordinary compact car. The Focus is a race inspired car and will make sure you get your daily dose of performance. Not everyone wants a brand-new model, so we’ve got you covered with an extensive certified pre-owned inventory that includes a fantastic line up of Ford models as well as used vehicles from other major manufacturers, too. Every vehicle is available to view online, and along with all the relevant details of each vehicle, you’ll also find a comprehensive album of images of that vehicle to help you make the right choice. 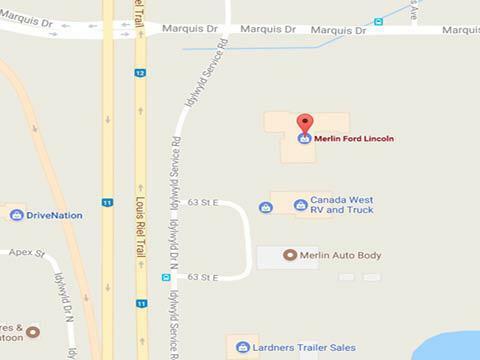 There's no better place to find a used Ford Focus in Saskatchewan than Merlin Ford! When you’re shopping for your next Ford car, truck, or SUV, you expect the best. At Merlin Ford, we deliver! We’re proud to offer Saskatoon’s largest lineup of new and used Ford vehicles. But we provide more than an impressive inventory. At Merlin Ford, we’re committed to providing the kind of exceptional, world-class dealership experience you’d expect from a representative of the Ford brand. No matter what your automotive needs are, you’ll find an unwavering dedication to your satisfaction in every department. We’re with you every step of the way, from "just looking," to seeing your new or new-to-you Ford vehicle parked in your driveway. But our amazing service doesn’t end there! The trained technicians in our service department can help make sure that your Ford vehicle continues to exceed your expectations for kilometers to come. Stop by, and see how we can do more for you. You can find us at 3750 Idylwyld Drive N. in Saskatoon, SK, or call us at 306-931-6611.
just bought my very first car from Merlin Ford Lincoln. My salesman Tom was exceptional in helping me and making me feel comfortable, knowledgeable and was ready to answer all questions, no matter how small. Very friendly staff throughout, I couldn't be happier. I would recommend everyone to go there for their next purchase, and especially ask for Tom. Dealt with Tom Geenan as our sales consultant and Grant Mills on the Financing side. Both answered all the questions we posed, and made the transaction a genuine pleasure. Second vehicle we have purchased from Merlin, I wholeheartedly recommend that you speak with them if you are purchasing a vehicle!